The new for the season, Patricia Ryan. Ohio Wesleyan University announced the promotion of the assistant women’s lacrosse coach on Monday. OWU athletics director Doug Zipp was faced with finding a new coach for the women’s lacrosse team after Coach Chelsea Conley resigned from her position on January 3. Zipp explained the reasoning behind Conley’s resignation. “The decision to step away is for family and personal reasons along with a great opportunity to pursue an exciting new career opportunity outside of athletics,” Zipp said. 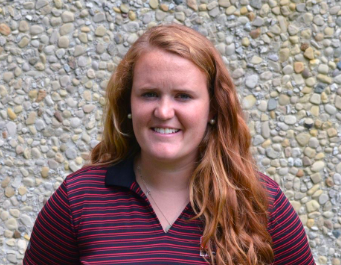 On Monday, January 21 Zipp announced the promotion of Assistant Coach Patricia Ryan (’16) to interim head coach for the 2019 season. Ryan is an OWU women’s lacrosse alumna who is serving her second season as a coach for the women’s lacrosse team. Her commitment to the team and passion for the sport played a role in her promotion. “The reason she was promoted is she has demonstrated leadership, initiative and passion for the program and for our student-athletes and that will go a long way and will push our program forward for this season,” Zipp said. Despite being saddened by the loss of their head coach, members of the OWU women’s lacrosse team wished Conley the best and have remained optimistic about the upcoming season. Ryan herself is eager to lead the team this season and looks forward to being able to try out new practice drills. “I think implementing some new things and critiquing and working on the old will be exciting,” Ryan said. Despite limited time to fill the position, Zipp is also happy about the decision to promote Ryan. Ryan’s experience as both a student and a coach at OWU has encouraged optimism and fostered enthusiasm among the athletes. Baumgartner, 3-year member of the women’s lacrosse team, agreed with Albers. Ryan also recognizes the chemistry that she has with her athletes and the ways in which her alumni status plays a positive role in such chemistry. Ryan also deems herself fortunate and is grateful for the help she has received from the athletics department. “I think that there is a lot of knowledge in the department, so I will be looking to other coaches a lot for help,” Ryan said. At the end of the 2019 season Ohio Wesleyan will begin a national search for a new head coach, Zipp said. “Our women’s lacrosse program has a lot of potential and it is important that we now look nationally for the best person to lead our program into the future,” Zipp said.